Writing teams are popular in Hollywood, as they can give shows more bang for their buck. But are they popular in Canada? Find out as we meet Jeremy Smith and Matt Venables, a Vancouver-based writing team currently staffed on Continuum. Born in Barrie, Ontario and living in Vancouver, Jeremy Smith graduated the Victoria Motion Picture School in 2000 and has been in the film industry ever since, thoroughly learning all aspects of production working as a Producer’s and Executive’s assistant on television series and feature films. During the first season of Continuum, Jeremy was a Story Editor and co-wrote his first credited hour drama with fellow writer Jonathan Lloyd Walker. He also acted as the Creative director for the Continuum Transmedia Campaign. Matthew Venables’ love of music lead him to the world of film. Bands like Suicidal Tendencies and Public Enemy’s socially conscious lyrics inspired him to write poetry and song lyrics. After graduating from Victoria Motion Picture School in 1999, he moved to Vancouver and started directing music videos with fellow filmmakers Jeremy Smith and Troy Sitter under the “The Lollypop Kids” moniker. He has spent the past decade working on various TV series and Films learning the trade and crafting his art. After spending a year with the writing team of Continuum, Matthew’s writing talent earned him his first credited script assignment. The site is back up, with a new more mobile-friendly design! There may be a few hiccups as I update things like tags & links. Thanks for your patience! 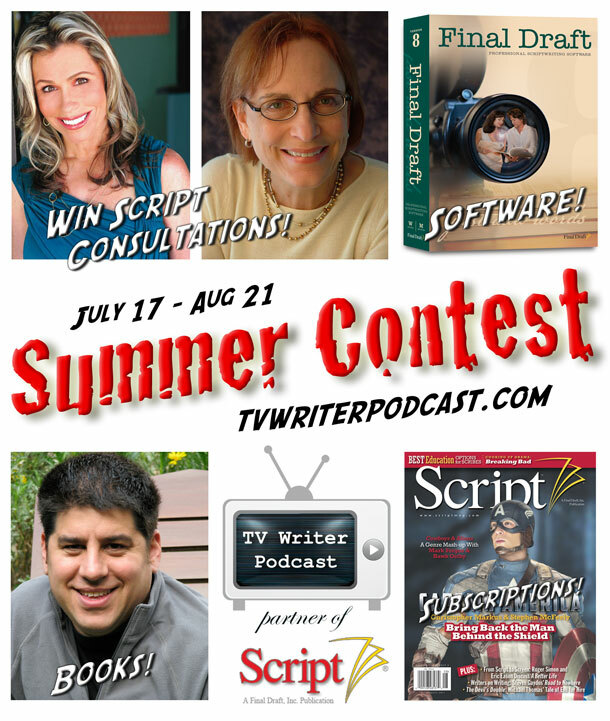 TV Writer Podcast Summer Contest 2011! The contest is now closed… thanks to everyone who entered, and congratulations to all who won! The full list of winners is at the bottom of this page. – more could be added! 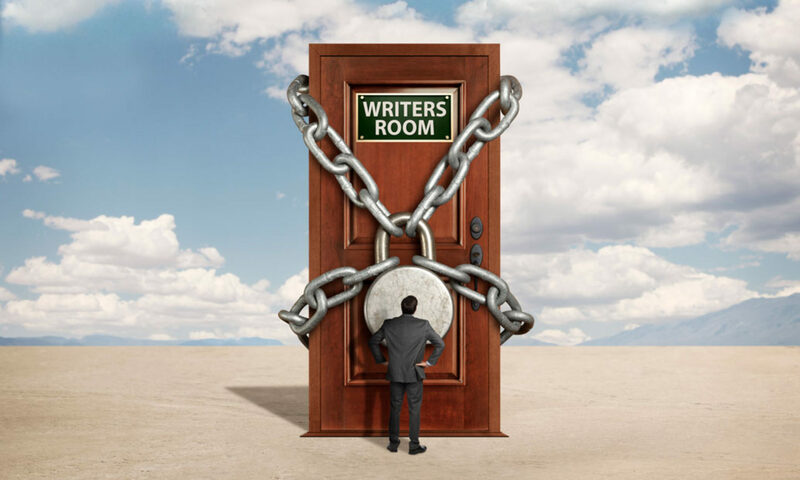 – Every new submission or correction to TV Writer Twitter Database was a new entry in the draw for the Jen Grisanti grand prize. – Thanks to several entrants, 163 new writers were added to the TV Writer Twitter Database, bringing the total to a whopping 887! – The challenge was to check out the schedule of upcoming interviewees on the podcast site, and submit questions for the interviews. Every interviewee question submitted gave an entry in the draw for the Final Draft software grand prize (plus 2 bonus entries if the question was actually read on the podcast). – To win the Ellen Sandler grand prize, all you had to do was “Like” the TV Writer Podcast Facebook group — the winner was chosen at random from all the Facebook group members at the end of the contest. – Weekly challenges/prizes were announced at TV Writer Chat Sundays (6:30-7:30pm PST). For more details on how to be a part of the chats, go to tvwriterchat.com. – You may win more than one prize. – Anyone is eligible, except for Gray Jones, employees of Script Magazine, and employees of Final Draft. – Prize winners will be contacted by email. If there is no response by August 31st, a second email will be sent. If there is no response by September 7th, the prize will be defaulted and the person in 2nd position in the draw or challenge will win the prize. – Special thanks to Jen Grisanti, Ellen Sandler, Pilar Alessandra, Chad Gervich, Final Draft Inc., and Script Magazine for donating prizes. For more information, email Gray Jones at mail@tvwriterpodcast.com. PRIZE AWARDED: 1 year Script Magazine subscription, including free access to 7 years of digital back issues! CHALLENGE WAS: Find least expensive book on Gray’s Bookshelf at the TV Writer Podcast Amazon Mini-Store (Answer: “The 101 Habits Of Highly Successful Screenwriters” by Karl Iglesias, at $9.38). CHALLENGE WAS: Count the number of resource links on the TV Writer Podcast website sidebar (Answer: 91). CHALLENGE WAS: Contribute new resource links for the TV Writer Podcast website sidebar. CHALLENGE WAS: Go to the new “DSLR” page on the TV Writer Podcast website. On that page, find the answer to this question: which external DSLR website is home to the fabulous DSLR Cinematography Guide? PRIZE AWARDED: Paperback copy of William Rabkin’s excellent book, “Writing the Pilot” (when it ships). CHALLENGE WAS: First to answer where screenwriter Thomas Lennon is from (Answer: Chicago). PRIZE AWARDED: Free registration for webinar with Hollywood screenwriters Robert Ben Garant and Thomas Lennon, sponsored by Final Draft, Inc. CHALLENGE WAS: First to answer which has been the most viewed TV Writer Podcast to date (Answer: Jen Grisanti podcast).